There is something magical about a home that is full of flowering and fragrant plants. The colors, the scents, the benefits and the overall atmosphere created by blooming flowers during sunny summer days makes for a happy home that is clear of toxins in the air and is full of seductive aromas drifting from the various flowers placed around the area. Anyone who has taken the time to take care of a flowering plant knows that there is a difference between keeping the plant alive and getting it to bloom. That may seem intimidating, but do not fear because most plants are already flowering when they are offered for sale anyway unless you prefer to grow your flowers from seeds. The hot summer months bring abundant sunshine, blue skies and feelings of energy and happiness all around. Las Vegas is especially known for its sweltering summers so many individuals spend their summer days cooling off by the pool or enjoying the cooling air of the air conditioner. In the same way that fruits and vegetables are best in certain seasons there are types of flowers that are ideal for summer weather. These flowers can withstand the heat and they absolutely love the sunshine! Which Flowers are the Best for Hot Summer Months? Whether you are keeping these in your outdoor garden or if you are placing them along sunny windows and corners in your home these flowers are sure to grace you with beautiful color, delicious fragrances and overall joy at their blooming. Orchids are unique flowers that come in a wide range of colors, shapes and scents. Regardless of what most people think, orchids are extremely adaptable and once the flower settles in and feels comfortable it will easily continue to grow and bloom. The most important step of orchid care is for the caregiver to understand how orchids work and grow. The most important step of orchid care is potting the plant. Since Orchids are epiphytes (this means they do not grow in soil, but in the air), they require a pot with good ventilation and drainage. In tropical environments Orchid roots generally attach to trees or rocks so they can capture moisture and nutrients. During the hot summer months orchids need to be watered heavily in order to stay hydrated. Orchids also don’t require direct sunshine, but they should not be shunned to a dark corner. The best place for your orchid during summer would be a sunny spot with speckled shade. Interior Gardens is the premier source of breathtaking Orchids in Las Vegas and we would be more than happy to guide you through the proper care and maintenance for these beautiful flowers. African Violets are compact and come in a wide variety of shapes and colors. If you are keeping this flowering plant indoors make sure to plant it carefully. African Violets require high humidity and a bright area with plenty of light, but not under direct light. If this beautiful flower is given proper care it can be expected to bloom nearly year round. If you have a bright window to place the flower it will bloom almost constantly! Hibiscus plants are known for the abundant benefits to hair. Other than that they are also available in an array of beautiful colors. Hibiscus flowers require warmth, lots of light and humidity to survive. This flowering indoor plant is an ideal summer plant for any home. Peace Lilies make the best indoor plant for summer weather because they are easy to care for and they tolerate low light and low humidity. These flowering plants are so popular that they are often spotted in many homes and offices. The flowers tend to bloom in the late summer and when they do bloom they offer a beautiful view of creamy white flowers and large and glossy green leaves. 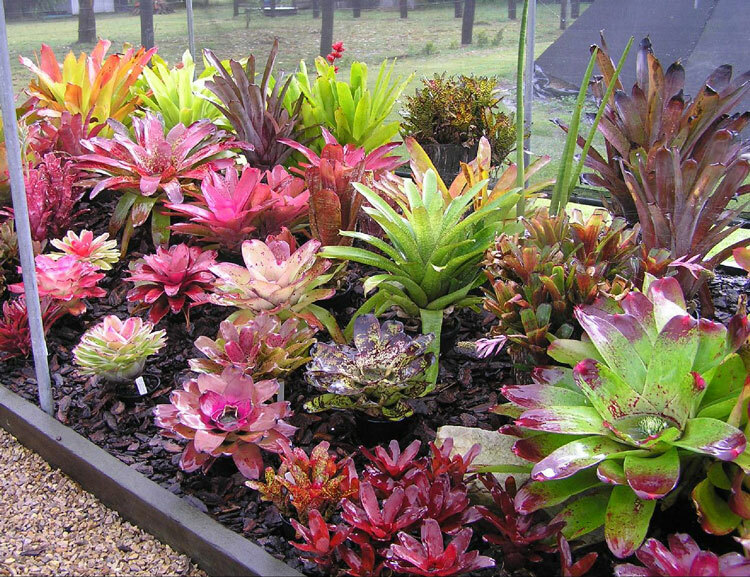 Bromeliads are the most colorful and decorative plants for indoor settings during the hot summer months. Although they are a little finicky and can be tough to bring to bloom, when they do bloom the flowers can last for weeks or even months and they offer beautiful colorful foliage. The Crown-of-Thorns flower is a relative to the poinsettia and it is a perfect flower for summer weather because it is very tolerant of neglect as long as it receives bright and intense sunlight and is kept on the dry side. The flower is extremely easy to care for and it has low-watering needs. If you are interested in learning more about the best flowers for summer weather connect with the experts at Interior Gardens. We would be more than happy to assess your home or office and help you pick the finest selection of summer flowers to brighten up your space. Our experts will also provide personalized care information for each flower and we will also keep in touch with you about how your plants are doing. Give us a call today so we can chat about flowers, decorating with plants and anything else you may want to discuss about Interior Gardens. Chinese New Year: How are You Celebrating the Year of the Sheep?